Tegan Oglietti was having a lovely day in 2027 until she was shot and killed on the steps of the Australian Parliament House. The next time she opens her eyes, 100 years have passed. Tegan is the first successful story to come out of an experiment in cryogenics. Quickly dubbed the Living Dead Girl, Tegan has a whole new Australia to get used to and – as far as Tegan is concerned – the government has a lot of explaining to do. Imagine what it would be like to blink and wake up 100 years from now. Think about what would have changed. Fashion – people would dress differently. Maybe whole new fabrics would have been invented. Speech – slang would be different, maybe other ways of talking. Technology, certainly. Social issues. The environment. That’s what Tegan Oglietti is dealing with. Back in 2027, she was having a nearly perfect day – headed to a protest with her new boyfriend and her best friend. She doesn’t even remember the fatal shot that tore through her. But now, she’s awake – the first person to be fully revived by Australian doctors working to perfect the science of cryogenics. Tegan has a lot more to deal with that just getting used to a world with no blue jeans, no red meat, weird new slang words, and disturbingly racist No Immigration policies. Tegan soon realizes there’s more to her revival than her doctors and military handlers are willing to say. The Living Dead Girl has made a discovery nearly as chilling as being frozen in the first place. It is interesting how things collide. The cryogenics in this story depend on “something” derived from tardigrades aka water bears aka moss piglets. The day after I read the chapter that introduces the tardigrades, I had a family walk into the library and ask for help finding information about “a microscopic creature whose name sounds kind of like the Tardis from Dr. Who.” What are the odd of encountering the same microscopic creature in two days?? Everything in Cassia’s world is controlled by The Society and Cassia is a model citizen, living by the rules. She is excited to find out who has been chosen as her Match. But she’s not ready for what happens. Her microchip shows her not one, but two boys. The Society never makes mistakes, but they have this time – and it is a mistake that throws Cassia into a wild tailspin. Cassia lives in a world where everything is decided by The Society – what she reads, the art she sees, the music she listens to, what she does at school, what she eats, how she exercises, where she will work. They even monitor her dreams. 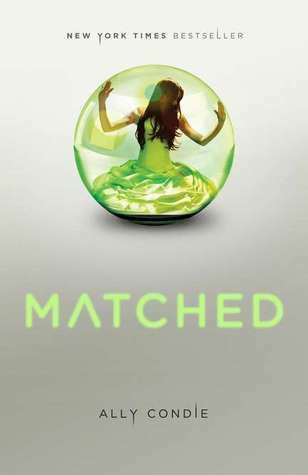 Now, on her 16th birthday, The Society has used carefully statistical analysis to determine who Cassia should marry – which boy is her Match. But when she is shown not one, but two options, Cassia’s clear, simple life path becomes jumbled and confused. Although she is told sweet, safe Xander is the one she is really meant to Match with, she finds herself drawn to Ky, whose dark and mysterious past is the source of much intrigue. The pot is stirred further when her grandfather encourages mild subversion, sneaking her a copy of a poem not in the approved 100. Cassia finds herself wondering – for the first time in her life – whether The Society really knows best. I’m not the biggest fan of romance and page after page of girls mooning over boys, but I was riveted by many of the ideas of The Society. In order to combat all the chaos and noise of life in the “old world” (ours), The Society chose 100 songs, 100 books, 100 poems, 100 pieces of art and they have become what is. Nothing new is created or permitted. Also, everyone in The Society dies at 80 and the discussion of that dictum was though-provoking to say the least. This is the first in a trilogy that is now complete with Crossed (2011) and Reached (2012). Tucker is just being raised by his preacher father and organ-playing mother in little Hopewell, Minnesota, until one day his dad steps into a blurry spot hovering above their roof and disappears. He returns an hour later, looking a few years older and trailed by a strange yellow-haired girl. He announces that he no longer believes in God, yet continues working and preaching at his church. Things spin out of control for Tucker’s mother. Then, both his parents disappear and Tucker is pulled bit by bit into his own close encounter with the blurry spots that hover over roofs until he is leaping and cavorting through a series of unpleasant and potentially deadly adventures that disregard the usual rules about time and space. I’ll be honest. I’m not entirely sure I completely understand what just happened here. The action focuses around a series of portals or “diskos” placed by a mysterious non-corporeal race called the Klaatu. Tucker is just a kid when his father gets sucked into a disko while trying to fix a loose shingle on their roof. Their close encounter with the Klaatu instruments costs Tucker’s father his faith in God and his mother her sanity. As Tucker begins to explore the world through the diskos, he discovers this adventure may cost him his life. 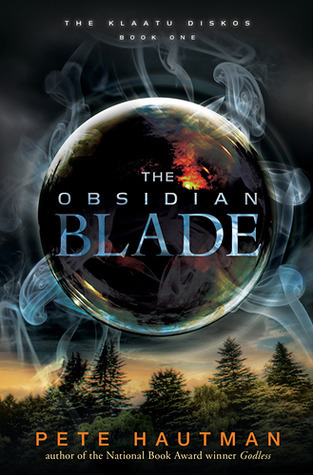 Along the way, Tucker must figure out how to handle some strange relationship – with Lalia, the girl who returned with his father from the diskos and seems to hold the key to many great secrets; and with his biker uncle, Kosh, who is consumed with fear after his own face-off with Klaatu technology. It is intense and strange and really, really cool. Still, I’m glad this is identified as Book 1, because Mr. Hautman still has a lot of explaining to do. “Do you know what I miss about God?” the Reverend asked. 416 pages; published January 2011. Amy is frozen cargo on a spaceship, taking a 300-year journey from our tattered earth to a potential new world. 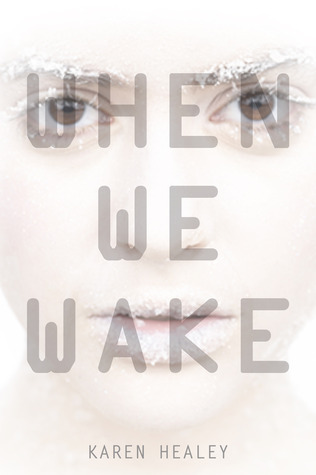 When she is awakened 50 years too soon, she finds herself trapped and alone in heavily controlled society where the people don’t seem quite right. Her only hope seems to be Elder, the leader-in-training of the ship, and Harley, who is considered crazy because he is an artist, not a drone. Amy wasn’t even sure, not really, that she even wanted to go on this trip. But her parents were going and she couldn’t consider a life without them. So she took off her clothes and stepped into the glass box and let them do that they had to do – push blue goo into her veins, drown her in sparkly blue water – to freeze her for the 300-year journey that would take her family away from an earth where everything is falling apart to the promise of a new planet, a new earth where she and her parents will help rebuild a new, better world. But now, she’s waking up and she doesn’t know why and she’s drowning and can’t breathe and even though she’s rescued, she finds that it’s just her. Only she has been unfrozen. It’s 50 years too soon and there’s something wrong on this ship. Elder is just a boy, the youngest in his generation and the man destined to lead the people who live on this spaceship. Elder is to learn what he will need to know to be a good leader from Eldest, the current leader, but Eldest is holding back. Eldest is keeping secrets and just wants everyone to obey him. When Elder meets Amy, his assumptions about how things should work on the ship are challenged as Amy sees the society that has developed on board through the eyes of one who lived life free, under the true sun and in the fresh air. The next book in this series, A Million Suns, was released in early 2011. Shades of Earth is due out January 2013! New Yorks Times Bestseller list! Across the Universe debuted at #7! Indie Bestseller list! Across the Universe debuted at #15! In Beatrice Prior’s world, people live devoted to one of five factions, each hyper-focused on a particular trait (selflessness, bravery, honesty, peacefulness, intelligence.) In a society where it is demanded that you go “all in” for your faction, Beatrice is conflicted, demonstrating traits of multiple factions. Born to selfless Abnegation, she takes the only opportunity she will have in her lifetime to realign with Dauntless during her 16th year, throwing herself into rigorous training and constant risk as one of the brave. But those risks are nothing compared to what she will face if they learn what she really is – dangerous and Divergent. Beatrice Prior has been raised to be selfless, self-effacing, colorless, and quiet as a member of the Abnegation faction in her carefully divided society. But today – on Choosing Day – the only day in her life when she will be given the chance to leave her old life behind – she chose to become Dauntless and join the faction characterized by risky acts of bravery. Now, she is standing on a rooftop with the other Dauntless recruits. They’ve just been told the only way off the roof is to jump. As everyone shrinks back, Beatrice steps forward. At the bottom, she chooses a new name – Tris – launching herself into a brutal training course, fighting to be one of the recruits eventually chosen to remain with the Dauntless. But unlike the other recruits, Tris is also fighting a silent battle of her own. Only she knows the truth. Her Testing didn’t identify her as Dauntless. Or even as Abnegation. Her Testing showed her to be what people fear, won’t explain, and will only repeat in a whisper – Tris is Divergent. Of all the books suggested as read-alikes for the wildly popular Hunger Games trilogy, this is the best match. While wholly original and completely exciting, it shares many of the key appeal factors – unexpected bravery, a dedication to humanity in the face of cruelty, high tension and excitement, cross-gender appeal, and power-hungry villains to root against. 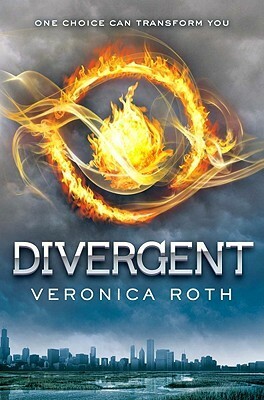 Book 2 – Insurgent – was released in May 2012 and is just as amazing as Book 1. There will be a third book, with an expected publication date late in 2013. Cinder is a cyborg, considered subclass in New Bejing where people are mainly preoccupied with two things – the upcoming Imperial Ball and the plague which is ravaging the population. A talent mechanic, Cinder finds herself face to face with the prince, seeking a fix for his nannybot. She soon finds herself wrapped up in his attempts to avoid being conquered by the moon-based Lunar forces, find a cure for the plague, and find a date for the ball. 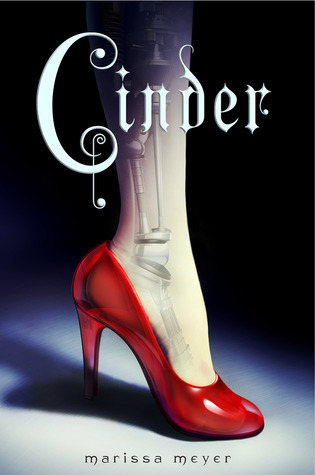 Cinder packs in a lot of excitement in 387 pages, with friends and family afflicted with the plague, people with secret identities all over the place, all manner of mechanized things to fix, Lunar forces bearing down, and a prince chasing her all over town. Cinder’s prince is allow far more personality than the original Prince Charming and is one of the most pleasing characters in the book. Her wicked stepmother is really awful, even happily selling Cinder to science so they can kill her off as a plague test subject. Cinder is clever and smart, which adds to her appeal. One problem is that the book ends before anything has really happened. A lot of things start to happen, but it’s a long, complicated lead up to the final page and the promise that something will happen in book 2. Still, it’s entertaining and the attempt to re-cast Cinderella is fun and appealing.